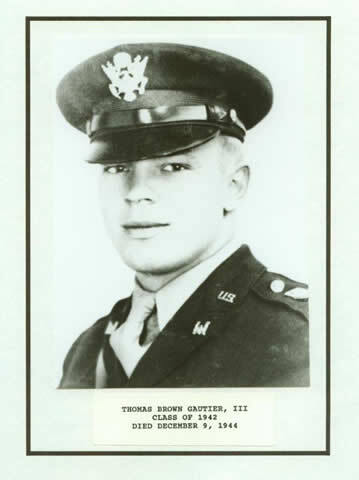 Thomas Brown Gautier, Jr., a native of Charleston, was born January 20, 1921. 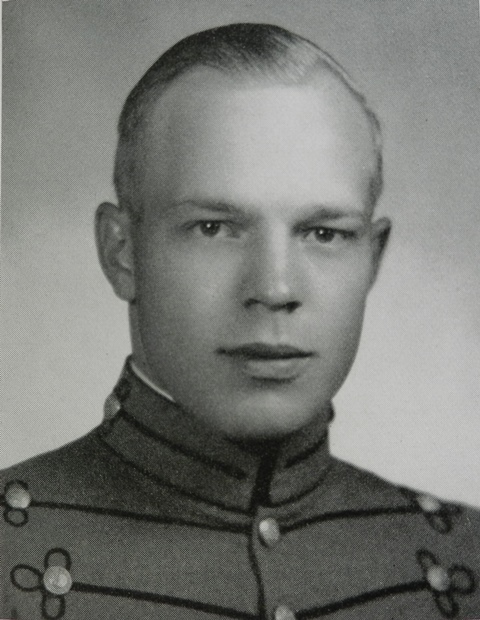 He entered The Citadel in the 1938-1939 academic year as a Cadet Recruit. He was Cadet First Sergeant of Cadet Company “G”, a member of the Bond Volunteers, and a member of Junior Sword Drill his junior year. A Cadet Captain his senior year, he commanded Cadet Company “G” and was a member of the Summerall Guards. “Tommy” graduated from The Citadel in 1942 with a Bachelor degree in Civil Engineering. His classmate, 1LT Franklyn M. Ketchum, ’42, also serving with the 36th Infantry Division, was killed in action the day after that landing. Lieutenant Ketchum rests in peace at Rhone American Cemetery, Draguignan, France. The 111th Engineer Combat Battalion along with the 36th Infantry Division and U.S. Seventh Army continued its way north through France. At the beginning of December, they were fighting their way out of the Vosges into the Alsace in the vicinity of Selestat and Sigolsheim. On December 9, 1944. Capt. Gautier, assigned to the Headquarters and Service Company, died in France of wounds he received in combat. Following the war, Captain Gautier’s body was repatriated and interred at his final resting place of Arlington National Cemetery, section 34, grave 4935 on July 22, 1949. Photo source: 1942 Sphinx, South Carolina Corps of Cadets, The Citadel, Charleston, South Carolina, p. 115.